I Have been having this spreading Numbness (less sensation i would call it) in different parts of my body...in some areas (toes, tip of the fingers, left side of my body) tends to be stronger. I did a blood test and my Vitamin D levels were low 22 nmol/L . I have yet to do an MRI which is gonna be soon hopefully but our incompetent doctors have no idea why this happened to me. I don't have any other significant symptom that would lead us anywhere. Would you my numbness could be a symptom of Vitamin D deficiency? Comments for Could Numbness be connected to Vitamin D deficiency? Vitamin D deficiency 'could' be the cause of your numbness- or it might not be. Numbness can be caused by many different things, and if you are low in vitamin d, then you could be low in a lot of other nutrients as well. Nutritional deficiencies are very common, and it's rare for doctors to test for many of them, and many cannot even be tested for. Many people think that because their doctor tested for a few nutritional markers and they were normal, then they have no nutritional deficiencies. But this is incorrect. What about the ones that he didn't even test for? And many of the tets for nutritional markers, such as the ones for magnesium and vitamin B12, are grossly inaccurate. Even worse, they often test normal when they are grossly abnormal. So, numbness could be due to the vitamin D deficiency- or it could be due to iron deficiency, or B12 deficiency, or any number of other deficiencies. Or it could be due to Gluten Sensitivity that is causing the nutritional deficiencies, or it could be due to the H Pylori Bacteria causing inflammation and decreased absorption. Sorry to be so vague, but there is no way to know if that 'one' thing is the cause of your problems without getting rid of that one thing and seeing if it fixes the problem. There are many reasons for numbness you'll have to 'rule out' the many reasons that you may have it before anyone can say, "Yes, that was the reason for your numbness". And even if you get an MRI and it comes back showing some neurologic problem, that doesn't tell you what caused the neurologic problem in the first place. In other words, nutritional deficiencies, particularly B12 deficiency and Vitamin D deficiency, can actually cause neurologic problems that may look as severe as Multiple Sclerosis. Please read my page on Neurologic Changes from B12 Deficiency. I forgot to mention that my vitamin D level is 22 mnol/L which has been alarming to all my doctors. I have always had a very low iron levels in my blood since childhood. Due to my IBS i had B12 deficiency in the past but my levels were normal, Calcium and Magnesium levels looked fine as well. I'm still amazed how a neurologist would tell me he has heard that low Vit-D would make me volnurable to catching colds (he had no idea about it's importance for the nervous system). I am not good at coping with waiting months for diagnosis so i keep telling myself that it might just be my imbalanced diet and the fact that i have always avoided sunlight with all my power. Again, your neurologic symptoms 'could' be from vitamin d deficiency. You'll have to get rid of your vitamin d deficiency and wait a while after that in order to find out. And PLEASE read further on my site and the links that I've referred you to. I mention on those links the connection between neurologic symptoms and vitamin b12 deficiency and how vitamin b12 levels, as well as magnesium levels ARE NOT ACCURATE and do NOT in any way tell you whether you would benefit from Vitamin B12 or from magnesium. 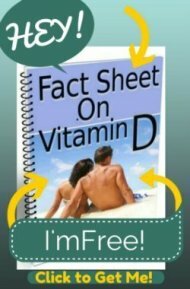 And in fact, with a vitamin d level that low, you absolutely must read my page on Magnesium and Vitamin D.
In addition, with lifelong iron deficiency and IBS, it's almost a certainty that you have undiagnosed Gluten Sensitivity that may be the cause of many of your problems, including the IBS and nutritional deficiencies, and could even be the direct cause of your neurologic problems as well. My vitamin d level is a 4. 22 is low but 4 is bad. And i have numbess as well. Mine was 43 ng/mL when I had total body numbness. 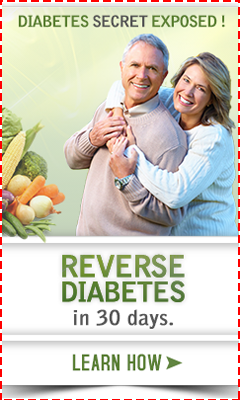 When I began taking vit D supplements I got all the feeling back after a few months. My doctor told me originally he didn't think that I had vit D deficiency but looks like I did! Guess 43 was just low for me, not the average! Just received my results. My level is 10. Also suffering from numbness, tingling, dizziness etc. Thought MS but brain Mri was clear. ??? I'm so glad I found this. My numbness started on the bottom of my feet, went up to my knees then when I ended up getting sick the numbness spread all the way up my torso. My B12 levels were normal but my D was 16. Every doctor i went to couldn't tell me what was going on or why i was going numb. I took my lab results to my naturopathic and that's when i finally got a real answer. Now I'm taking 10,000 units of vitamin D a day for 10 weeks then checking my levels again. I'm praying the numbness gets better soon. I'm so relieved to see that I'm not the only one having the same issues. For those of you who saw an improvement after taking vitamin D, how much were you taking? My vit D level is 13 and my dr wants me to take 50000 iu once a week. Will I get similar results if I take 7000 -8000 every day instead? Hi. I also am suffering from vitamin d deficiency ... the numbness started on the left side of my face then went down to my arms and legs, feet ect. I went to the ER and they told me I had parastesia and that it will go away. I was still confused as to why I would just randomly get one sided numbness so I got an mri... it came back clear Thank God..but now the numbness has come back and I’ve also experienced reduced hearing so now I have to get a hearing test but when I was 6months pregnant I was diagnosed with Bell’s palsy that 98% went away so my doctor believes it’s because of that. Thanks so much for you guys story.. it feels good knowing I’m not alone. Also my levels are extremely low.. 10... what is the best method to get your levels up. My doctor recommends 2000iu everyday and a check up in 3 months.. I take vitamin D3 .. should I take something else with my supplement? I'm scared to death and still have no answers. I had a gastric bypass 13 years ago and wasn't taking my iron like I should have been my hemoglobin dropped to dangerously low levels so I had to have 2 blood transfusions. 3 weeks after I started feeling numbness and it scares me the most when in my face. I'm severely low on all vitamins except my b12 was high go figure so my doctor is sending me to a hematologist but the waiting is what is scaring me and feeling this numbness freaks me out. I'm so glad I found this site any input would be greatly appreciated. I recently got diagnosed with Vitamin D Deficiency. My level is 29.4 and the normal range is 30.0 - 100.00(depending on which labs). I've been having tingling in my feet and muscle pain from my piriformis muscle to my legs. I also tend to get foot pain. I've tried Vionic insoles and I do tend to walk a lot. I always go for my annual blood work and this time I have finally checked all my vitamin levels and I am now vitamin d deficient. I also took the lupron shot in 2012 and one in 2016. And I read that it could cause muscle and bone loss. My dr. has me on a vitamin d therapy for 50,000 iu for 8 weeks. After that I have to take OTC vitamin D. I wonder how long would it take for the tingling and muscle pain to go away. I'm sp glad I found other ppl with the same symptoms I have,the numbness & tingling in my extremities. I was terrified because my doctor told me i needed a neurologist but also told me that I had a vitamin D defiency so he put me on 5000 Iu of Vitamin D.
How are you guys doing now??? Did the vitamin d help at all?? ?